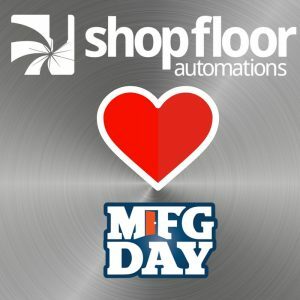 Manufacturing Day is almost here, and Shop Floor Automations is excited to celebrate the manufacturing industry with our friends and community! We also invite you to follow Shop Floor Automations on our social media channels. We would love suggestions about what you would like to see on our blog, and on our YouTube channel! Find us on social media.